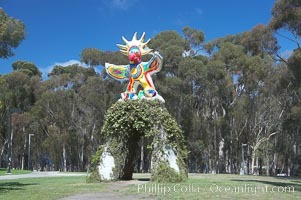 Sun God is a strange artwork, the first in the Stuart Collection at University of California San Diego (UCSD). Commissioned in 1983 and produced by Niki de Sainte Phalle, Sun God has become a landmark on the UCSD campus. Figure Photo. Bear is another of the odd outdoor "art" pieces of the UCSD Stuart Collection. 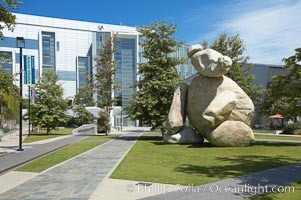 Created by Tim Hawkinson in 2001 of eight large stones, it sits in the courtyard of the UCSD Jacobs School of Engineering. Figure Picture. Bear, another of the odd outdoor "art" pieces of the UCSD Stuart Collection. 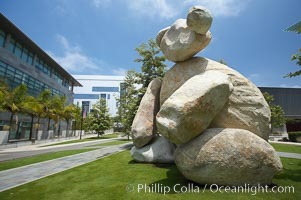 Created by Tim Hawkinson in 2001 of eight large stones, it sits in the courtyard of the UCSD Jacobs School of Engineering. Stock Photography of Figure. 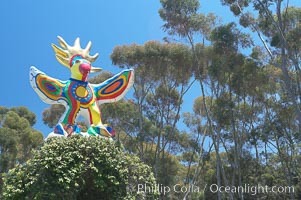 Sun God is a strange artwork, the first in the Stuart Collection at University of California San Diego (UCSD). Commissioned in 1983 and produced by Niki de Sainte Phalle, Sun God has become a landmark on the UCSD campus. Photograph of Figure. 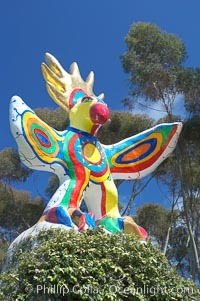 Sun God is a strange artwork, the first in the Stuart Collection at University of California San Diego (UCSD). Commissioned in 1983 and produced by Niki de Sainte Phalle, Sun God has become a landmark on the UCSD campus. Figure Photos. 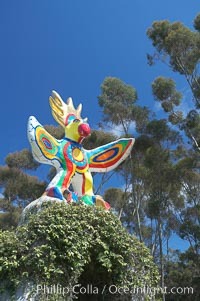 Sun God is a strange artwork, the first in the Stuart Collection at University of California San Diego (UCSD). Commissioned in 1983 and produced by Niki de Sainte Phalle, Sun God has become a landmark on the UCSD campus. Figure Image. 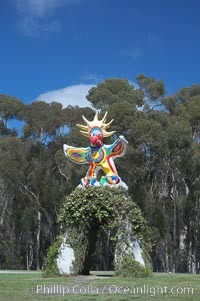 Sun God is a strange artwork, the first in the Stuart Collection at University of California San Diego (UCSD). Commissioned in 1983 and produced by Niki de Sainte Phalle, Sun God has become a landmark on the UCSD campus. Professional stock photos of Figure. 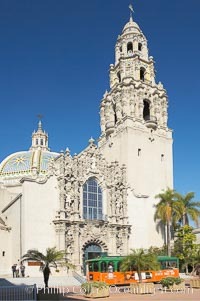 The South Facade of the San Diego Museum of Man is an ornate design containing statues and busts of figures important to the Spanish heritage of San Diego. Balboa Park. Pictures of Figure. Bear is another of the odd outdoor "art" pieces of the UCSD Stuart Collection. 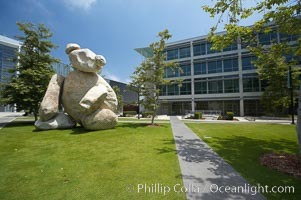 Created by Tim Hawkinson in 2001 of eight large stones, it sits in the courtyard of the UCSD Jacobs School of Engineering. Figure Photo. Bear is another of the odd outdoor "art" pieces of the UCSD Stuart Collection. 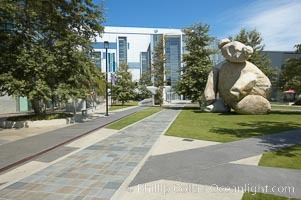 Created by Tim Hawkinson in 2001 of eight large stones, it sits in the courtyard of the UCSD Jacobs School of Engineering. Stock Photography of Figure. Bear is another of the odd outdoor "art" pieces of the UCSD Stuart Collection. 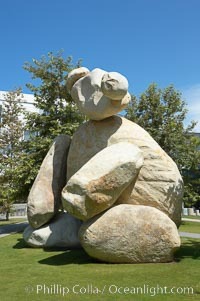 Created by Tim Hawkinson in 2001 of eight large stones, it sits in the courtyard of the UCSD Jacobs School of Engineering. Photograph of Figure. Bear is another of the odd outdoor "art" pieces of the UCSD Stuart Collection. 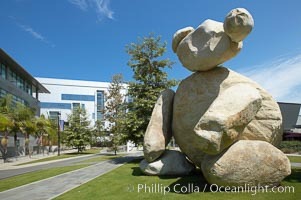 Created by Tim Hawkinson in 2001 of eight large stones, it sits in the courtyard of the UCSD Jacobs School of Engineering. Figure Photos. Bear is another of the odd outdoor "art" pieces of the UCSD Stuart Collection. 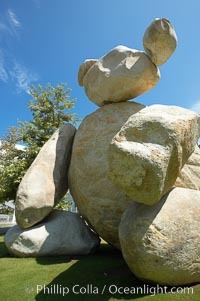 Created by Tim Hawkinson in 2001 of eight large stones, it sits in the courtyard of the UCSD Jacobs School of Engineering. Figure Image. Bear is another of the odd outdoor "art" pieces of the UCSD Stuart Collection. 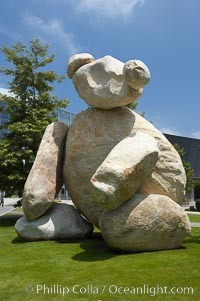 Created by Tim Hawkinson in 2001 of eight large stones, it sits in the courtyard of the UCSD Jacobs School of Engineering. Professional stock photos of Figure. Bear, another of the odd outdoor "art" pieces of the UCSD Stuart Collection. 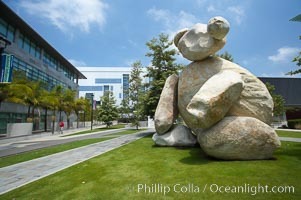 Created by Tim Hawkinson in 2001 of eight large stones, it sits in the courtyard of the UCSD Jacobs School of Engineering. Pictures of Figure. Bear, another of the odd outdoor "art" pieces of the UCSD Stuart Collection. 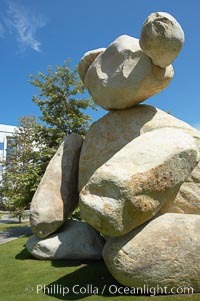 Created by Tim Hawkinson in 2001 of eight large stones, it sits in the courtyard of the UCSD Jacobs School of Engineering. Figure Photo. 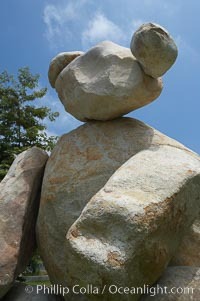 Bear, another of the odd outdoor "art" pieces of the UCSD Stuart Collection. 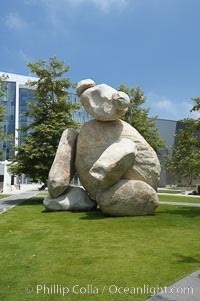 Created by Tim Hawkinson in 2001 of eight large stones, it sits in the courtyard of the UCSD Jacobs School of Engineering. Figure Picture.